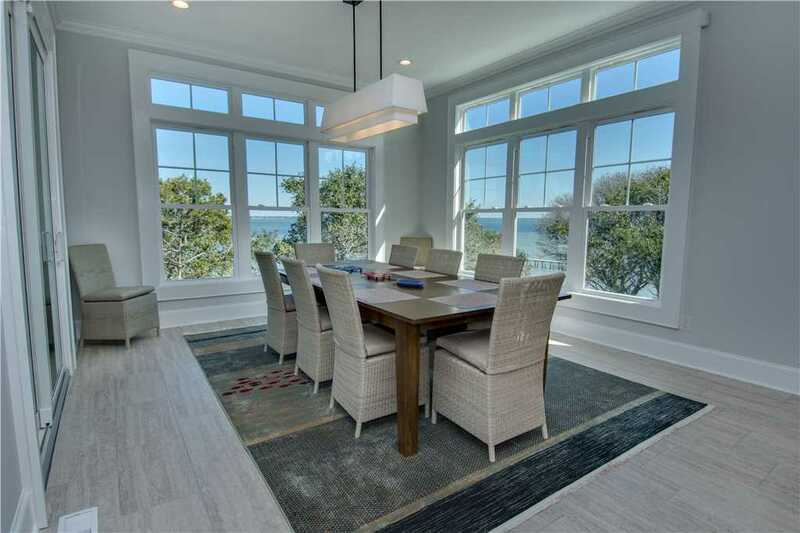 With the summer season just around the corner, set your sights on this modern and luxurious vacation rental at this week’s featured property, Breezy Oak Cottage. 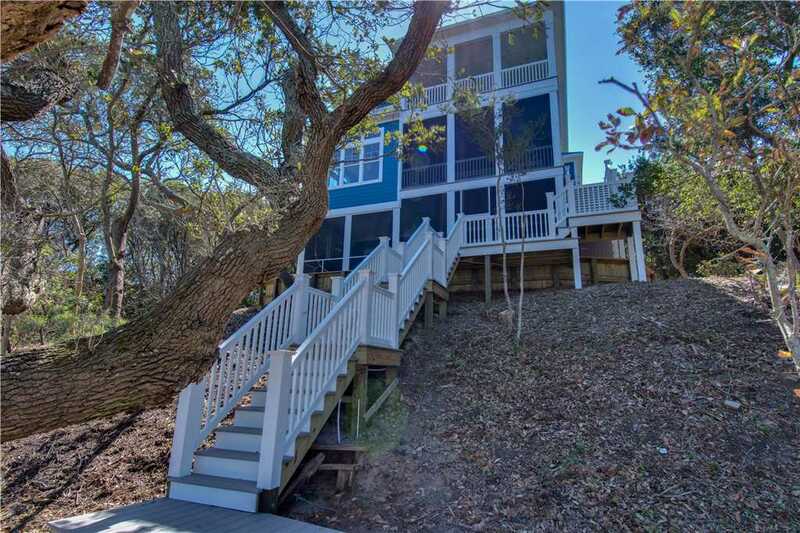 This three-level soundfront cottage with elevator access to all levels is new construction and has five bedrooms, six bathrooms, and two half-bathrooms. 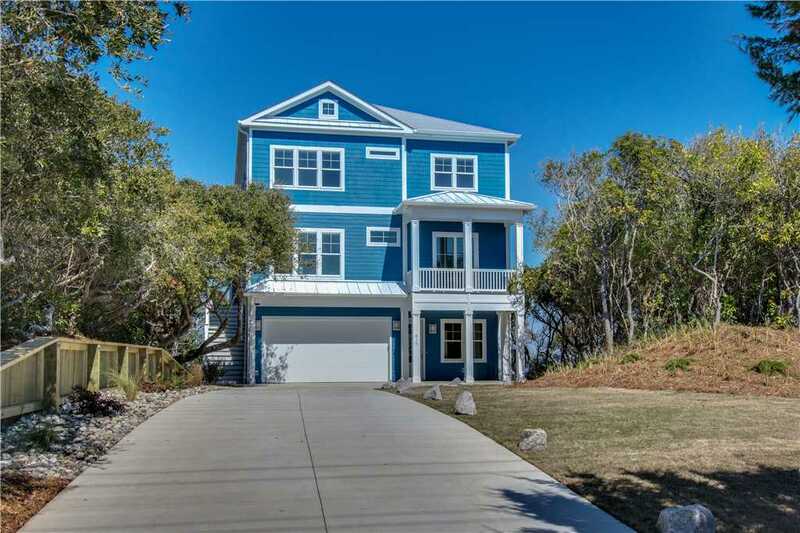 Inside this contemporary and energy-efficient home, you’ll be greeted with 10-feet high ceilings, sliding glass doors and chic Atlantic style throughout this 4,000-square foot cottage. 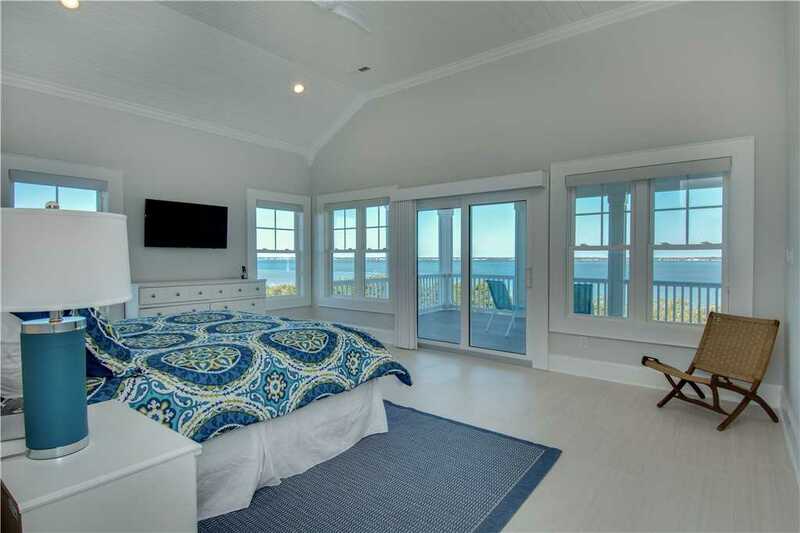 Breezy Oak Cottage has five bedrooms, two of which are master suites with king-size beds and covered porch access that overlooks beautifully twisted live oak trees and stunning soundfront views. 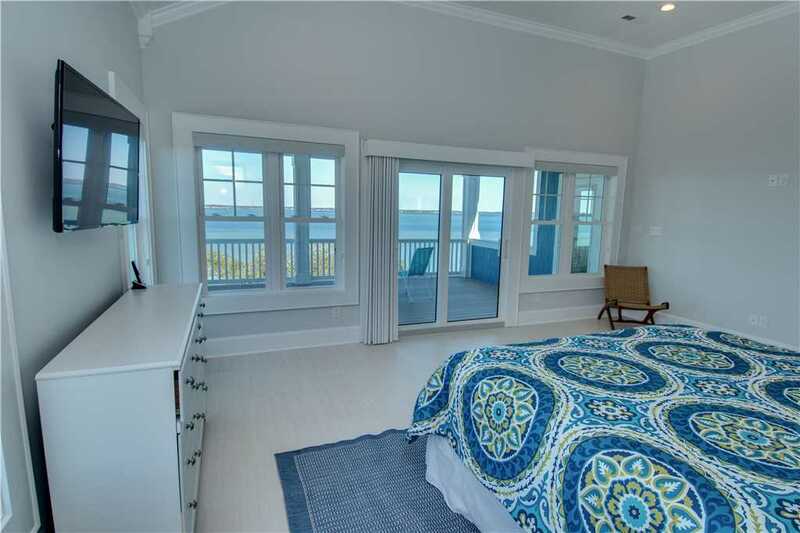 The other spacious bedrooms have two queen, two double and two twin-size beds and offer expansive views of the Bogue Sound. Each bedroom also has its own private bathroom. If you’re looking to relax in bed, each bedroom has wall-mounted high-definition televisions. And rest easy knowing that linens are provided upon arrival from Sandcastle Club linen service. 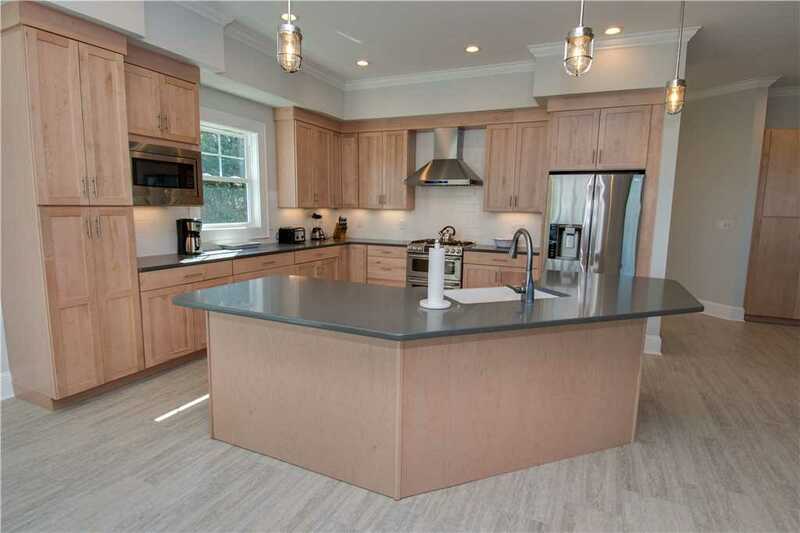 This cottage’s kitchen features brand new gourmet appliances and stunning quartz countertops. The dining room and kitchen bar feature breathtaking views of the water so you can dine with passing boaters as a serene backdrop. If cooking outdoors is more your style, this property has a gas grill located on the ground floor. Relax in style in one of the two living rooms on the first or second floor complete with plush couches and large high-definition televisions. One living room is set with a cozy fireplace, wet bar and opens to a covered patio with lounging furniture. The second living room, located on the ground level has an adjoining game room with foosball, games, books and videos to keep you entertained while you’re not hanging out at the beach. Have some Blu-Ray or Netflix movies you want to bring with you during your stay? 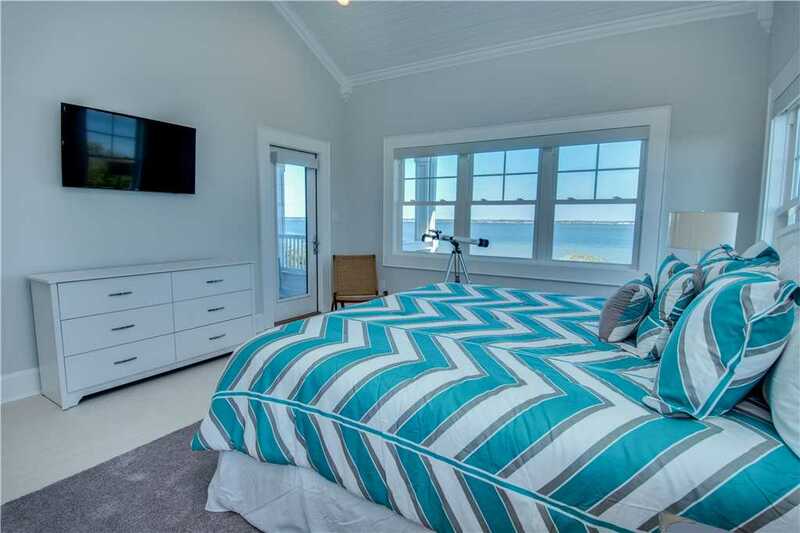 This property has Blu-Ray players and high-speed wireless Internet to help keep your movies or favorite television shows accessible during your vacation. When you’re not spending time indoors, check out what the outside of this cottage has to offer. 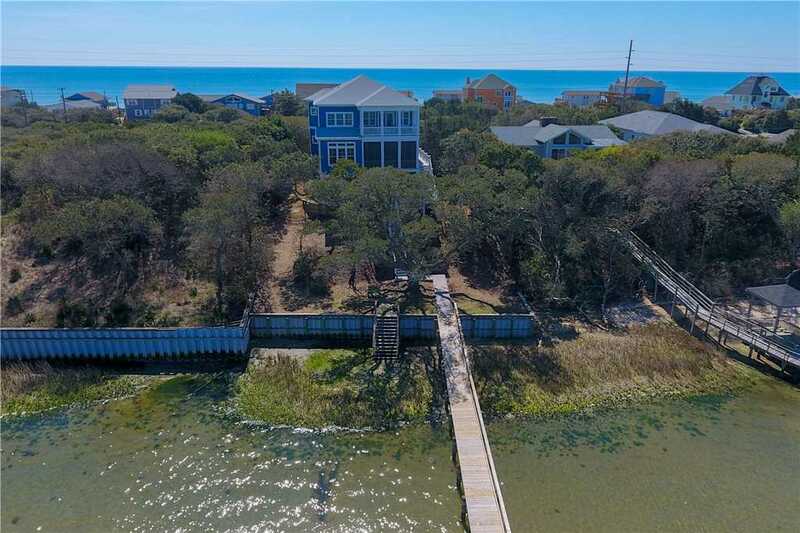 This property features a private pier off of the sound, ideal for taking in some fishing, clamming or crabbing. And if you’re feeling adventurous, take the cottage’s two-person kayak out and experience the Crystal Coast’s natural beauty in all its glory. 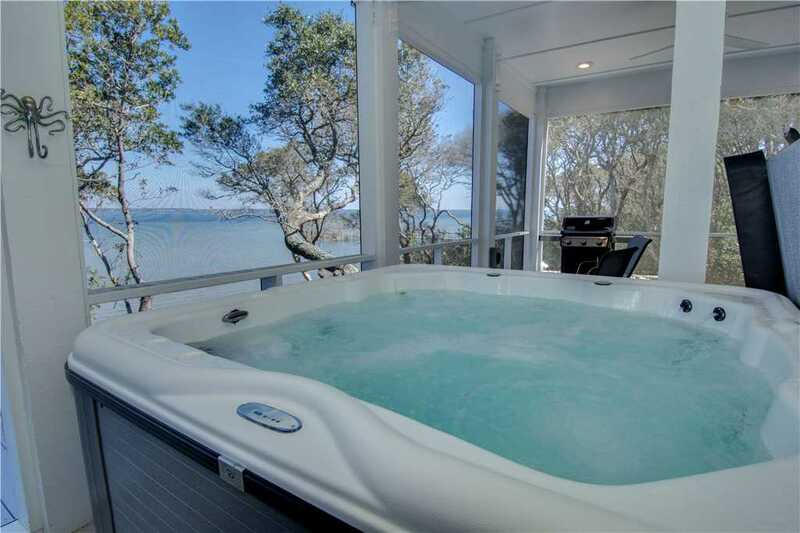 After a long day of exploring and vacationing, relax in the ground floor hot tub with serene views of the sound. You can also wash off the salt and sand in the outdoor enclosed shower. 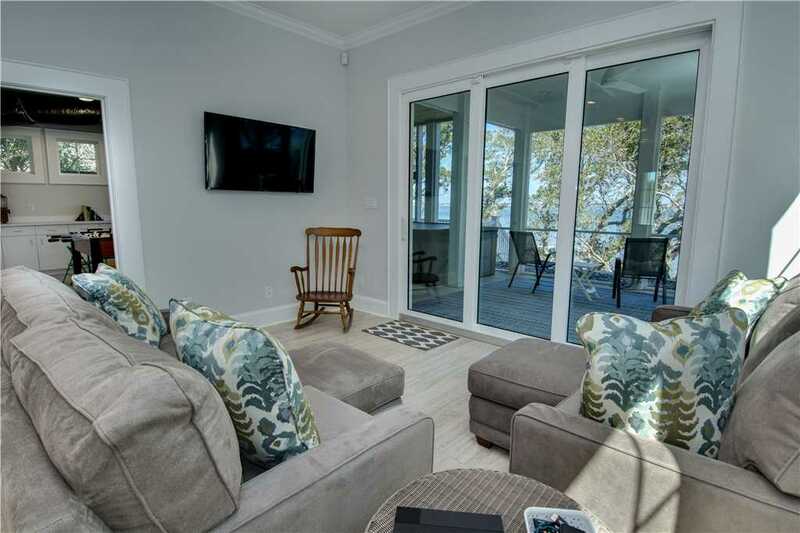 And even though this property is soundfront, access to the beach is only a short walk away and an easy to use beach cart also is also available to haul all your equipment. 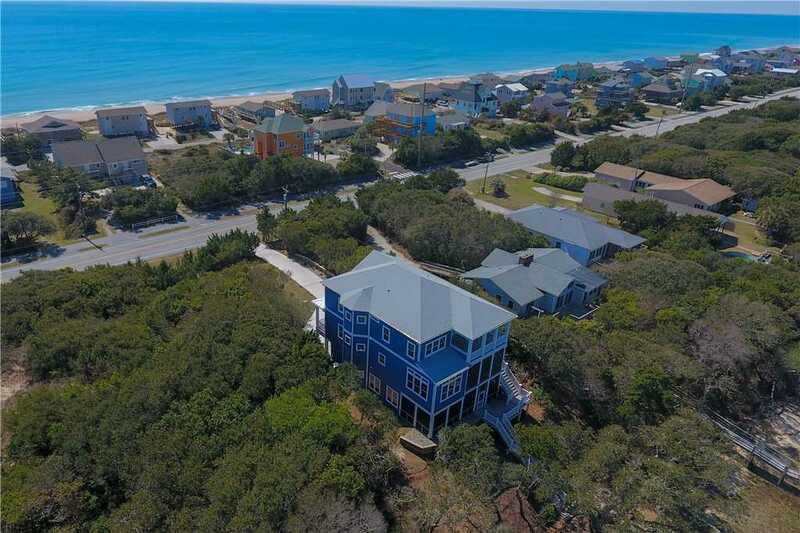 Located on Emerald Drive, this property is just a short drive away from, the North Carolina Aquarium at Pine Knoll Shores and is close to other Crystal Coast attractions like Fort Macon Sate Park, Theodore Roosevelt Natural Area, and the Cape Lookout Lighthouse. If you’re looking to explore the Crystal Coast a little deeper, a short ferry ride can take you from Beaufort to Shackleford Banks, an island that essentially isn’t touched by man. Here you might catch a glimpse of the elusive wild horses that inhabit the Outer Banks. 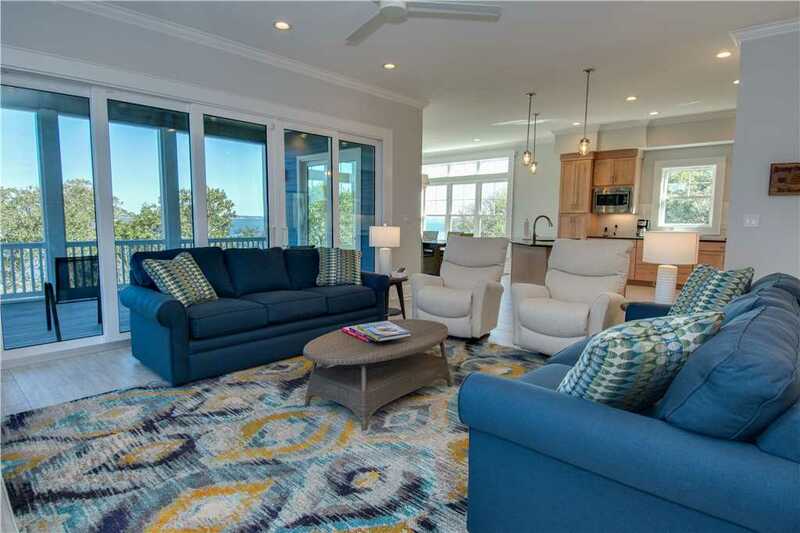 So if you’re looking to indulge in a dose of luxury and the Crystal Coast, look no further than Breezy Oak Cottage, now available for booking throughout the summer and fall seasons. 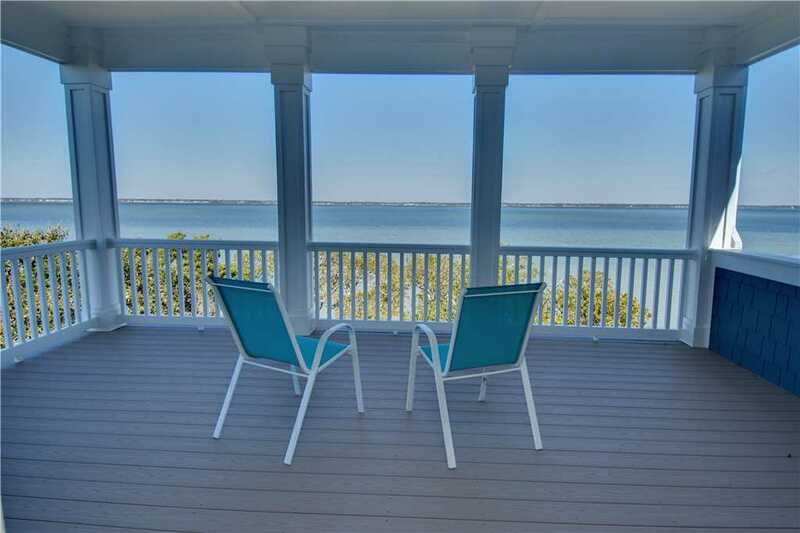 See rates and availability, and view more property photos of Breezy Oak Cottage!